The Food and Drug Administration’s (FDA) chemical crackdown in food and other products may be impacting the U.S.’s trade relations with India. Trade relations between the U.S. and India were set to improve after the governments discussed deepening bilateral trade through more investment last year. Despite this, India’s imports into the U.S. declined by $0.50 billion from 2014. This decline comes at the same time as the FDA tightening import regulations. Product recalls have increased for several food products- especially spices and rice- over the past year. India has the highest number of import refusals in the food category across the years as compared to other importing countries. Chander Shekhar, the secretary of Jackson Heights Merchants’ Association, noticed complains about import refusals in the past two years. He said that the FDA had suspected that there were residual cleaning products in food that was being imported which he thinks was a reason for a lot of the refusals. He saw the regulations being tightened more for cosmetic products like skin lightening creams and henna (hair colors) from India which impacted wholesale suppliers the most. Within the food category, imports of Indian basmati rice are increasingly being refused entry into the U.S.A. this year. While import refusals across food products have been increasing since 2013, import refusals for rice fell drastically in 2015, but are increasing at the same rate as 2014 this year. The two most common reasons are due to pesticides or presence of filthy substances. The Agricultural and Processed Food Products Export Development Authority (APEDA) of India confirmed that Indian rice was consistently refused after lab results revealed the presence of ‘ingrained filth’, leading the FDA to stringently check the quality of food imported from India. APEDA also issued a warning to Indian rice exporters that the U.S. has made it necessary for them to register with the National Plant Protection Organization. The organization will thoroughly inspect the plant before deeming the product fit for exporting. This new rule will be effective starting April 1. Stricter regulations on imports- particularly rice- have affected small Indian restaurants that aren’t chain restaurants. 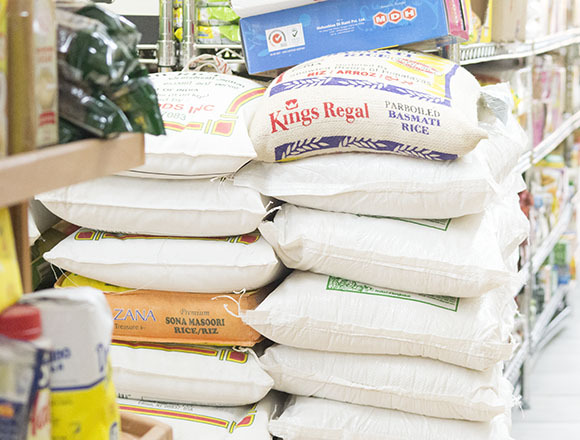 “Our suppliers had trouble importing certain cheaper brands of rice, so we had to adopt other, more expensive brands,” said Jennifer Sohan, co-owner at Nirvana, an Indian restaurant and catering service based in New York City. Sohan explained that it costs her supplier more to import these alternative brands and that small restaurant owners like her faced the brunt of this since they have to pay more for unfamiliar substitutes. Since rice and wheat are essentials in Indian restaurants they strategically can’t increase prices for customers. When contacted, the FDA said that they had observed increases in the number of food product recalls, especially tied to individual foods. They attribute it to having better scientific methods to use for testing at the state and federal level. Refusals and recalls have also increased because the FDA has tightened certain regulations. They are in the process of updating the Food Safety Modernization Act to include rules that require food companies to identify health threats and work to mitigate them. The rules will be finalized later this year, along with funding for statewide programs to make sure that food companies within the country are aware of these changes. In conjunction with this, the FDA has been analyzing data about the presence of Salmonella in spices found in super markets and ethnic markets. Most of these tested spices had been imported and India is the leading importer. In 2013, the FDA reported that 12% of all imported spices contained bacteria or were made in unhygienic conditions. The FDA has set up centers in New Delhi, Bangalore and Mumbai to train their counterparts in keeping up with international standards. But until the FDA and its counterparts cement these new rules, it is going to be a game of educated guesswork for importers. U.S.-India trade relations have been beneficial for both countries. India’s largest exports to the U.S. are pharmaceuticals, fuel and oil, machinery, stones and metals. But the two countries always seem to have disagreements regarding food standards and food security. In late 2014, the U.S. agreed to let India continue stockpiling food so that the latter wouldn’t stall a crucial international trade regulation and modernization pact by the World Trade Organization. The U.S. was initially against India stockpiling-i.e. buying large quantities of grain from farmers above market price to feed their poor-because they thought it would lead to overproduction and distort trade. Now this crackdown on chemicals in food and tighter import regulations may lead to another set of international disagreements between the two countries.